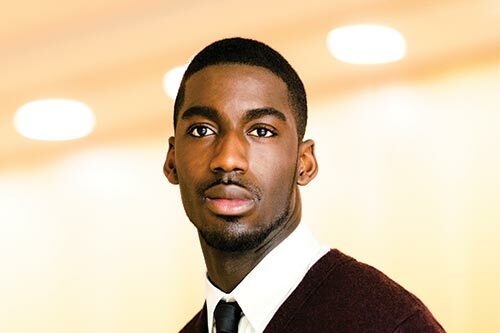 City alumnus Roy is an associate in the litigation department at Clifford Chance LLP. Roy qualified in February and is currently working on several commercial disputes. Prior to qualifying in litigation he completed stints in private equity (where he worked on the purchase of We Buy Any Car by British Car Auctions), general banking and asset finance (where he had the unique experience of going to the Airbus facility in Toulouse and overseeing the purchase of an aircraft for a client). During his time at City, he mentored students from a pupil referral unit, was a course representative and was nominated student graduation speaker. The thing these roles all have in common, is that I found each daunting and thought I might not be equipped with the ability to succeed in them. The main benefits from my time at City were being encouraged to do things outside my comfort zone and understanding when ask for help, which established a desire constantly to seek ways to become a better version of myself. Roy’s life goal is to make a difference. The manifestation of this as a career goal is to identify the sector of law that he is extremely passionate about and become one of the leading litigators acting in that field. He aspires to work on cases that interpret and shape the law in that sector.